The Munich golf trade show is tonight winding down as various brands have revealed their line-ups for 2009. Callaway has been in the spotlight having launched two new drivers, Diablo and FT-9 and three new iron models X22, X22 Tour and X Forged. Odyssey has also launched a new range putters. The Odyssey Trion, 2-ball F7 and Rossie Blade are all interesting shapes that are set to attract their fair share of attention. Yonex has launched a new range of clubs called VMX. We also spotted a new Adams driver called Insight Tech and a new Srixon range called WR. Ben Sayers too has launched a new range of clubs capitalising on the success of their Benny driver. The new Benny range features some smooth, classic shapes and simple designs. Benross has launched the Innovator X and forged VX51 irons. They also have some new Pure Red putters. So with all this new equipment to try in the forthcoming weeks, its an exciting time. 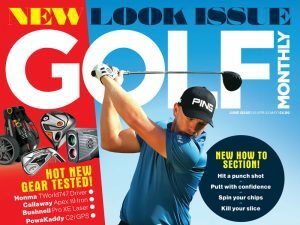 You can read full reviews of each of these clubs online and in the magazine as soon as weve had the chance to try them.